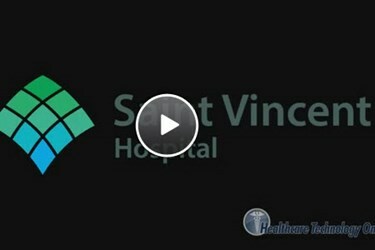 Health IT Outcomes visited Saint Vincent Health System in Erie, PA to talk with CIO Richard Ong about a variety of topics ranging from EHR implementation to securing mobile devices to patient portals. Ong has been CIO at Saint Vincent for three years and is in charge of the information systems, information technology, and health information management departments. Ong previously served as direct of IS at PHMS and as a facilitator at Waynesburg University. Ken Congdon, HTO editor-in-chief, talks with Ong about patient portals - how Saint Vincent is using them and the results they are seeing. Ong also describes what is being done, as well as what needs to be done, to increase awareness of the portals among patients. Click here to view video excerpts of Ken’s interview with Richard Ong. Saint Vincent is the latest Pennsylvania hospital to join the Allegheny Health Network – an integrated delivery network of seven western Pennsylvania hospitals focused on preserving healthcare choice and providing affordable, high-quality care to the people in our communities. Saint Vincent, founded in 1875 as Erie’s first hospital, includes a tertiary hospital in Erie, PA, an acute care and diagnostic hospital in Westfield, NY, and outpatient network spread across the northwestern Pennsylvania region. Saint Vincent’s strong commitment to clinical quality, advances in technology, and high levels of patient satisfaction have earned it national recognition by leading healthcare organizations. This year marks the 15th anniversary of Health Care’s Most Wired Survey. In that time, Saint Vincent and other hospitals and health care systems have made great strides in establishing the basic building blocks for creating robust clinical information systems aimed at improving patient care. This includes adopting technologies to improve patient documentation, advance clinical decision support and evidence-based protocols, reduce the likelihood of medication errors, and rapidly restore access to data in the case of a disaster or outage.